Channel your inner princess in this romantic lace dress from Alyce Paris 3792. 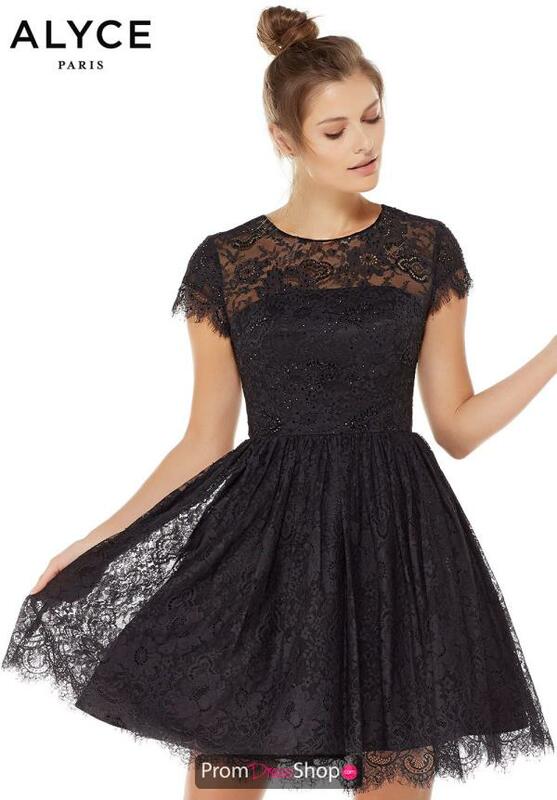 This dainty dress has cap sleeves with scalloped edges and a high illusion neckline. The fitted bodice has an open back that is framed by sheer lace on the top and has a zipper closure on the bottom. It is dotted with beads that accentuate the beauty of the lace. The A-line skirt has a lace overlay that ends in a scalloped trim, adding to the elegant look of the dress.